This league is currently in progress and is scheduled to end on December 30, 2017. The DFW winter league will have 3 total events - this includes two qualifying events and a finals. This league is designed for ALL skill levels to be able to play casually! 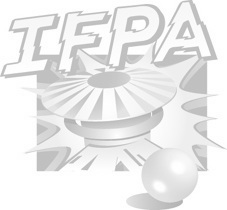 All venues have enough games to accommodate and thus, we are doing both IFPA tournaments (listed separately) and league events on all dates. All comers are always welcome for both. All skill levels are welcomed as well. We have had players as young as 3 years old and as old as 81 in the past. This year we even had a 2 year old! B4 is a neighborhood swap shop filled with collectibles, antiques, toys, and a healthy selection of vintage vinyl. We will be doing unlimited qualifying over 6 or more hours (6% or more TGP boost) with top score on 5 machines required (5 significant games). For both qualifying events, qualifying time will begin at the start time and run for 6 hours minimum. However many hours we end up with, if we go over 6, will be identical for both events. Thus, TGP from qualifying looks like 10 games total with a minimum of 12% boost for open qualifying of at least 6 hours at each event. So qualifying plus playoff would be at least 24 significant games + at least 12% boost from qualifying hours (equivalent to 27 total games).